Wave hello to the Endeavour Foundation Prize Home draw 406! Set across the road from the serene Mudjumba beach, a secluded Sunshine Coast beach suburb, this $1,145,560 resort-style home comes fully-furnished and features a spacious lounge deck overlooking a generous-sized in-ground swimming pool. Stepping out in your front yard – and you’re on the Mudjimba beach! Whether you make it your holiday getaway or a permanent home, this stylish home makes for a perfect place to relax and soak up the ultimate coastal lifestyle. 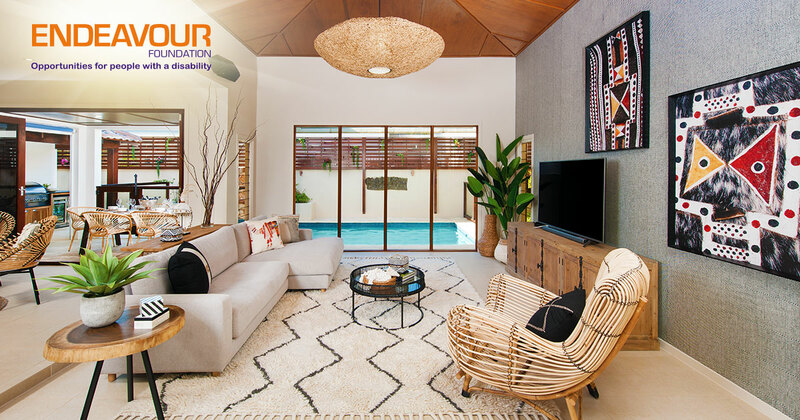 Entertaining your friends and family will be a breeze with two separate outdoor areas – a relaxing courtyard and a BBQ area with outdoor dining and, of course, the pool to make the best of Queensland summers. 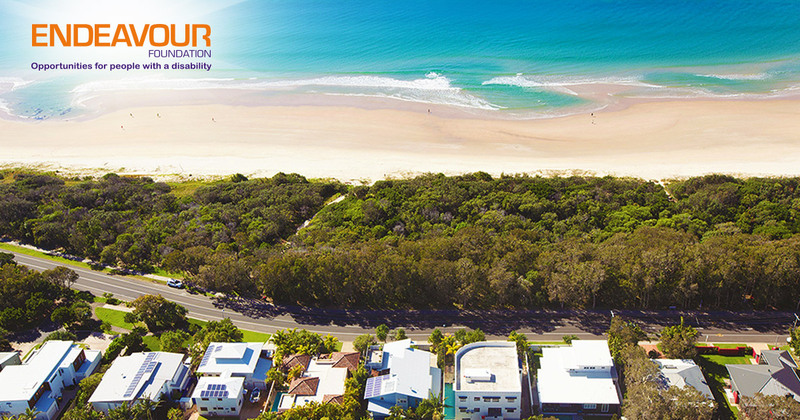 The serene beach suburb of Mudjimba is set just minutes from the Sunshine’s Coast CBD. It offers the best of both worlds with unspoiled wilderness and marine life. Meanwhile, it’s still a convenient location near centres like Mooloolaba, Maroochydore, Coolum, and Noosa. So you are only minutes away from shopping, restaurants and other urban conveniences. Endeavour Foundation has been raising funds to support Australians with a disability for over 60 years. When you purchase Endeavour Foundation Lottery tickets you’are helping to provide people with a disability accommodation support, employment, learning and life skills. 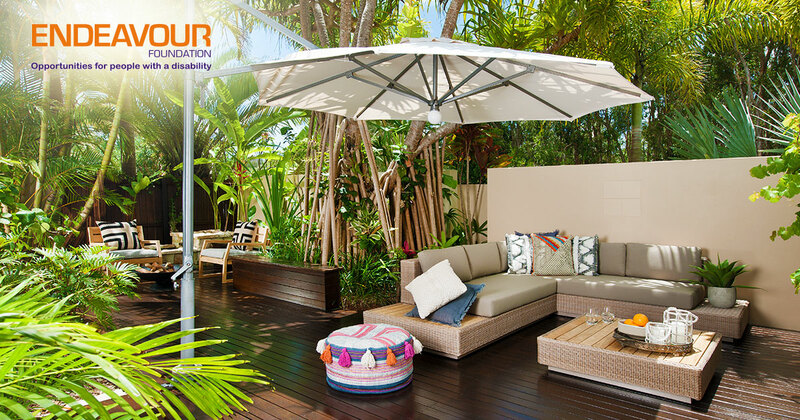 Support this amazing cause by buying a ticket in the Endeavour Foundation Prize Home Lottery. All proceeds go towards At Home With Choices program. They’re funding constructions of modern accessible homes that allows people with a disability to have more choice in their living arrangements.